Outdoor air dehumidification systems have gained prevalence as more homes are properly sealed for energy efficiency and as local and national building codes change to capitalize on these energy savings. Ventilation and odor removal are among the reasons to push existing air out of a space, and this requires 100 percent outdoor air intake to make up for this exhaustion of indoor air. Referred to as make-up air, this fresh air intake is inevitable and its dehumidification is essential for maintaining ideal indoor air quality. 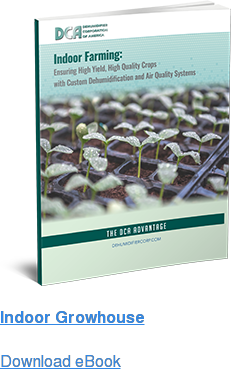 Finding a 100 percent outdoor air dehumidification system is often not difficult, but finding one the correct size and specs for your application may be the challenge. DCA builds a full line of 100 percent outdoor air units ranging from small 1.5 ton units up to 30.0 tons with 200 to 7000 CFM’s. Our smaller 200 to 1200 CFM units may be the perfect solution for that office renovation project that you may be bidding. The Southeast United States is home to many military bases and federal agencies. The location means hot and sticky summers without proper dehumidification. It’s quite the task to remove the amount of moisture in the outdoor air of these locations, but DCA systems rise to the challenge. Our 100 Percent Outdoor Air Dehumidifiers can pre-treat the make-up air by removing the excessive moisture from the air before it enters the building air conditioning system. 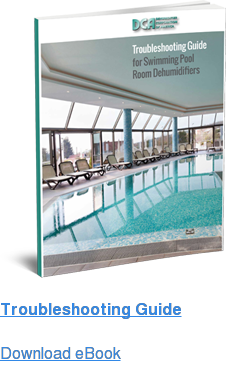 Finding a dehumidifier for summer has never been so easy. Designed custom for your application, DCA understands the unique qualifications of each job, including the space needing dehumidification and the outdoor air conditions. 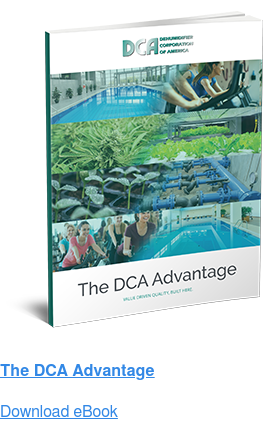 DCA offers two main types of these systems: air-cooled and water-cooled. Our systems use sources including geothermal energy, cooling towers, processed water, chillers and city water. Our expert engineers can easily design a system appropriate for your application and work with your consulting engineer or mechanical contractor. With more than 30 years of design and building experience in commercial dehumidifiers, DCA will solve your high humidity problem. American craftsmen and women build DCA 100% outdoor air dehumidifiers in Cedarburg, Wisconsin. Not only are we experts in the field, we understand local and national requirements in which your project must comply. In addition, our products comply with the Buy American Act, which may assist in winning local and federal contracts for your project. Dehumidifier Corporation of America is value driven quality, built here. For more information on our line of outdoor air dehumidification systems, contact our knowledgeable application team today.